When I was a kid, moonstone was my favorite stone. It might had to do with my love for Sailor Moon. Recently I decided to go to outlet Roermond for some ‘late’ Christmas shopping. And I was very lucky to find a ring that was on my wishlist but was sold out everywhere because it was an old collection. I am talking about the ‘old style’ birthstone ring. 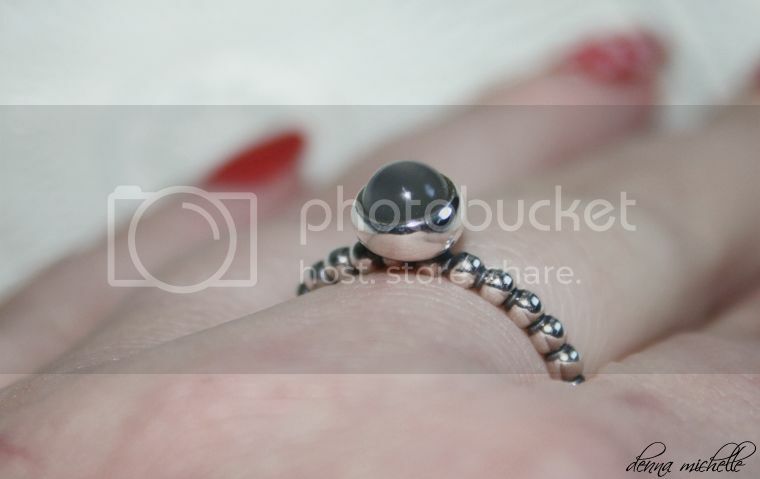 The new style birthstone collection has a design round the stone and this one just has smooth silver. These kind of rings from Pandora are amazing for stacking, They leave room for 3 rings to be added and still be comfortable. 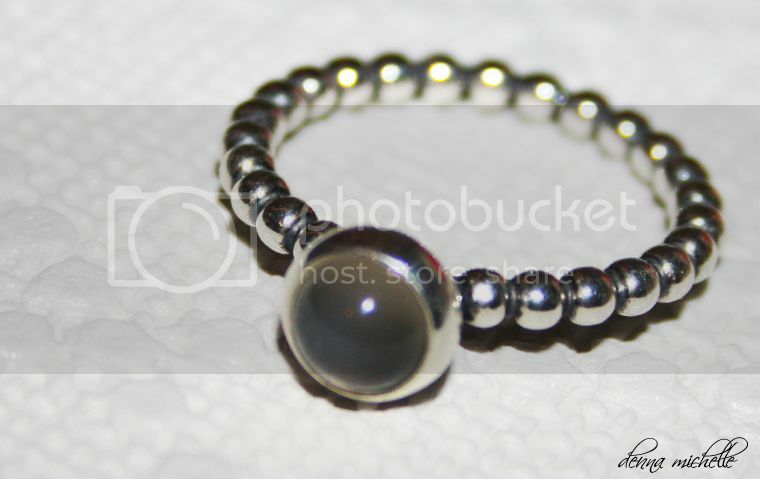 Also the ball-chain design of the ring is actually very nice and makes it feel like you are not wearing a ring. 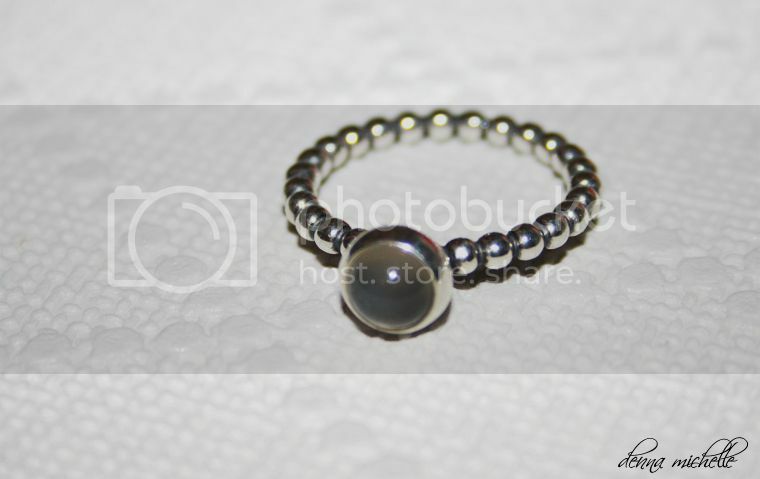 Also all Pandora rings are sterling silver and this is a real gray moonstone. Original this ring was €49.00 but because I bought it at an outlet I only payed €28.00 what I personally think is a steal. The girls at the Pandora store in outlet Roermond are always really helpful with picking sizes and letting me wear this ring on different fingers to try out where I like it best. I am a big fan of stacking gemstones so I will be buying more stacking rings soon. I got my heart set on this XOXO ring. The one thing that I do not love about the birthstone collection is that my own month [July] has a horrible colored stone. So I will be rocking Juni. 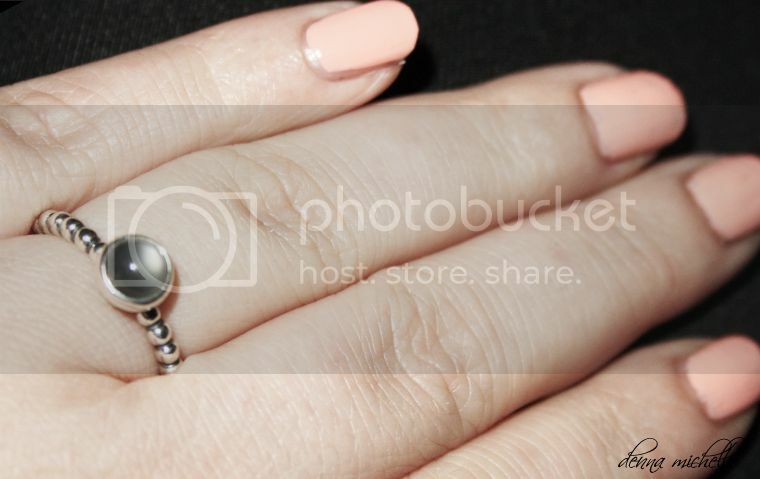 If you are interested in a moonstone ring from Pandora check out this link for the newest version of this ring. The pictures do not do this justice, the stone is very hard to capture in pictures but I do hope you can see how stunning this one is.